Love is in the air…but don’t tell anyone. Dead silence. Ah no…no clue. And how did he know? Let’s call him Brandon. Over the next couple of days, I was able to glean little snippets of information here and there. For example, she met him in August through mutual friends. He’s a nice guy, lives in West Vancouver with his parents and younger sister . So why didn’t she tell us sooner? “Mom, you always tell everyone everything.” whoops – shhh…please don’t tell anyone about this post ! “Are you sure he’s not a drug dealer?” Don’t laugh – it’s not beyond the realm of possibility in West Van. “Mom, this is why I don’t tell you anything. You’re so annoying.” Okay, so I backed off…for a few hours. In the meantime I sent a text to my son giving him the latest details. He was not amused. In fact, he threatened to take a nine iron to the guy. Other words were expressed as well, but none that I can repeat here. Well that happened a couple of weeks ago and I still haven’t met him. I really am trying to be patient, but Valentine’s Day is coming, so I’m starting to panic. I mean this is the first time she’s had a boyfriend for longer than a week, and the first Valentine’s Day with a guy. I just hope the Demon Child doesn’t go crazy. Fast forward to last night. After spending a couple of hours with Brandon, she came home quite pleased with herself. Apparently they hung out at Starbucks for a while, and then she bought his Valentine’s Day present at Shoppers Drug Mart. She was excited about her purchase and anxious to show me. Well, now I can breathe easy. Now I understand everything she said. Why? 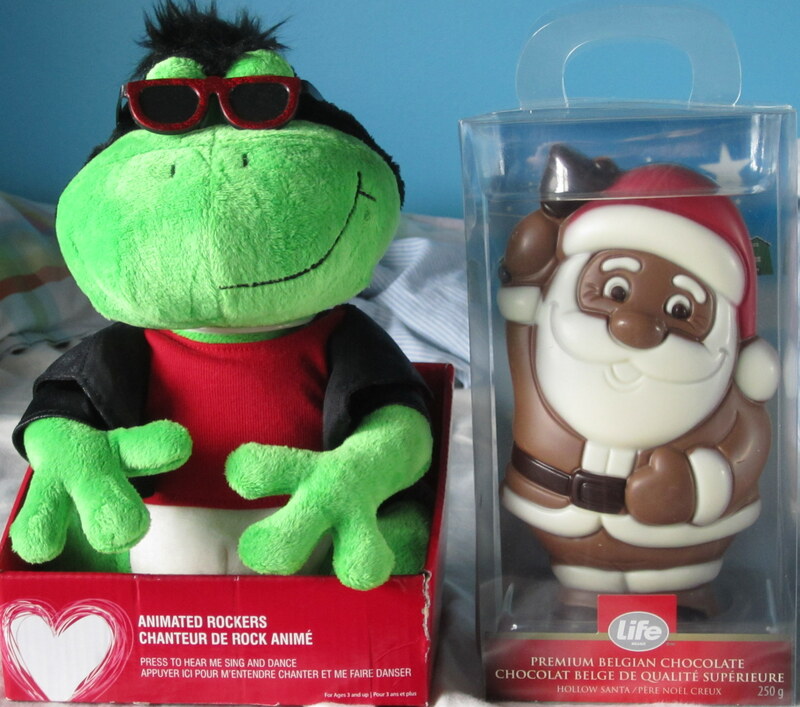 She bought him a dancing and singing rock ‘n roll turtle plus a chocolate Santa. If that isn’t true love then I don’t know what is – at least for the Demon Child. By the way, my son, the Obnoxious One also called last night. He’s planning to take his girlfriend Coco (see OMG – Her parents are fond of the Obnoxious One ) out to dinner at the nicest, most expensive restaurant in town, plus he’s ordered her a dozen red roses. Sometimes it’s hard to believe my two kids are related. Really! 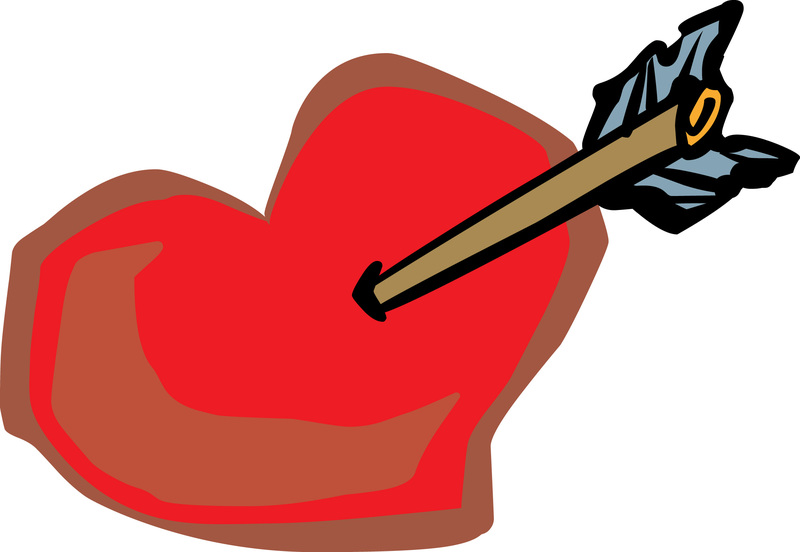 This entry was posted in Canada, family, relationships and tagged family, humor, life, love, parenting, Rita Russell, teens, Valentine's Day by Rita Russell. Bookmark the permalink. Good luck with a prom series. Too much of what I saw last year with my son and his friends would not be suitable material for my blog! Not sure if that’s just them or what. Regardless, I wait with baited breath to see what you will write about. And by the way, I still haven’t met my daughter’s boyfriend. Apparently they are still an item, and my son is still quite upset about that. He’s just not happy about a guy his age dating his little sister.